200 gallons, 1,500 gpm pump, 700 ft.
4″ LDH, high presswe reels, hydraulic rescue tools, cribbing, gas detector, foam nozzle, piercing nozzle, 2 portable generators, LZ kit, chimney kit, portable lights, portable electric pump and electric vent. fan. 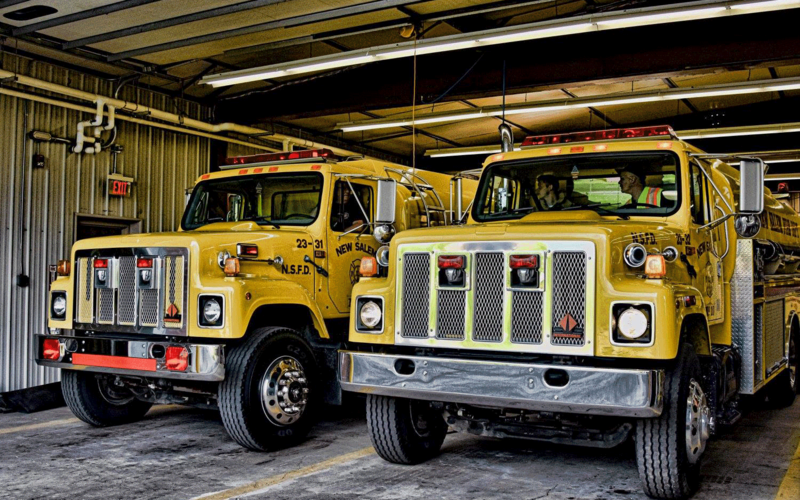 1,000 gallons, 1,000 gpm pump, 500 ft.
4″ LDH, chimney kit, trash line, port. generator, electric vent. fan, and electric port. pump. 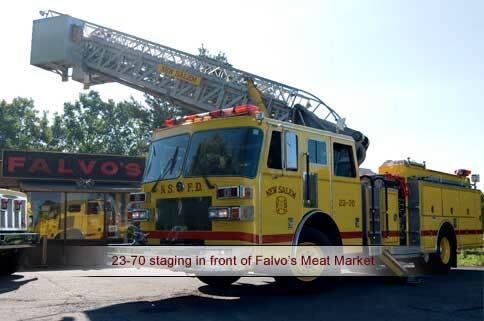 65 foot ladder, 500 gallons, 1,250 gpm pump, 500 ft. LDH, high pressure reels, gas-powered vent. fan, rescue rope, chimney kit, generator with reel, and sawsall. 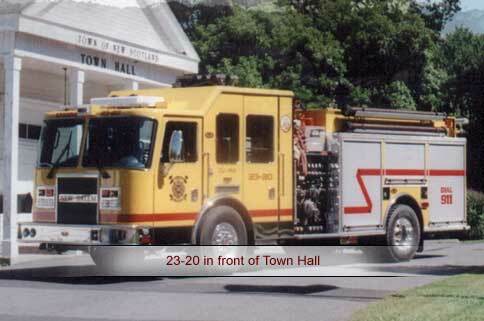 4,000 gallons, 750 pump, and 250gpm., portable gas-powered pump. 200 gallons, 250gpm. pump, chainsaw, brooms, portable water extinguishers and rakes. Fire police vehicle, traffic control barriers, generator, flares. 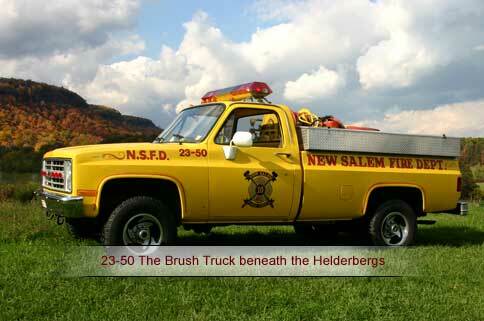 Here’s a small but impressive fire engine with an interesting history. 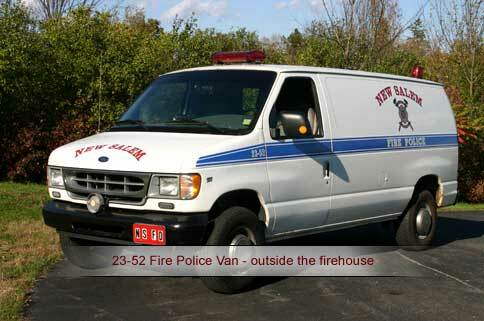 Retired since 1985, it is now being restored by members of the New Salem Fire Department in New Salem, near Albany, New York. Although used in New Salem from the early 1970’s until 1985 primarily for brushfire control, the large superstructure and heavy-duty plumbing installed on this Jeep clearly go beyond what is found on a typical small brushfire truck. Calling it an “attack engine” might be appropriate. Front: The CJ-2B was apparently outfitted originally by the Albany Police Department for riot control, accounting for the water cannon on the steel roof, and the huge 500 GPM front-mounted pump. Quick historical survey suggests that perhaps the only time the Jeep was used for its original purpose may have been during the race riot in Albany on July 27 1967. Four days after the beginning of the infamous Detroit riots, a night of unrest in Albany left windows smashed, buildings burned, and seven people injured. As described by Samuel G. Freedman in The Inheritance: “By the time rainfall and one hundred helmeted police stilled the streets, forty-four boys and men had been arrested for inciting to riot.” This Jeep may have been called into action by police that night. 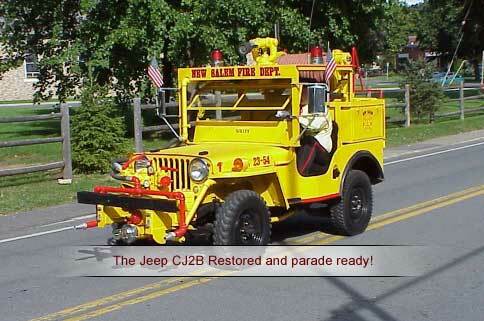 Roof gun: The Jeep was sold to the New Salem Fire Department in the early seventies. The remote-control gun on the roof, as well as nozzles at ground level on the front, made it a quick-response brushfire fighter. 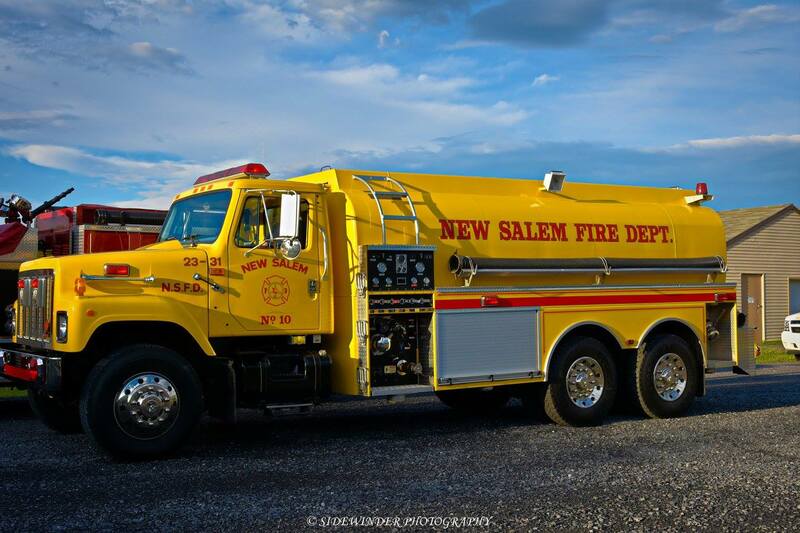 In 1985, a new Brush Truck was added to New Salem’s apparatus, and the Jeep was retired from its second career and donated to the nearby Altamont Fair. Interior: New Salem FD (prior member) as 1st Lt. Tom Albert, says the Department kept “first dibs on getting it back if the fair didn’t want it any longer. Well, you guessed it, they also retired it. We are in the process of ‘restoring’ it for parades etc. and even have thoughts of putting it back in service as a fire fighting vehicle. 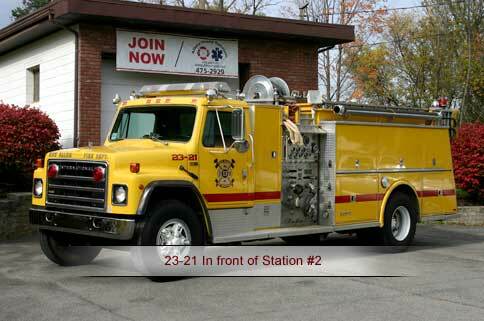 PTO: The rear of the superstructure holds about 100 gallons of water, as well as equipment storage. There are connections for a water trailer, as well as a rear PTO for running auxiliary equipment. Thanks to Tom Albert, and photographer Anna Mohan.